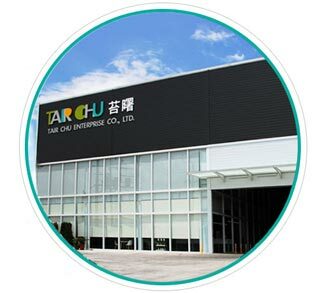 Tair Chu Enterprise Co, Ltd. | Tair Chu - A professional manufacturer of high quality plastic cutlery and injection moulding products. Tair Chu Enterprise Co, Ltd.
Professional plastic cutlery design and manufacturer including plastic spoon, fork, knife and spork for 40 years. Tair Chu is dedicated to plastic cutlery design and plastic tableware manufacture to satisfy customer's needs of diversity and abundance of cutlery in the world. As a professional plastic tableware designer and ISO22000 and HACCP certificated manufacturer, Tair Chu insist on providing customers the top products and service. To ensure the products under best protection, we also built ISO-9 clean room for production. Tair Chu provides color paper straws. To use the color paper straws, the drink packaging will look more unique. You can choose the color paper straw for your drink. This is the latest ice cream spoon. The plastic ice cream spoon is design for the ice cream or yogurt. There are nine colors for customers's options. Enjoy any festivity with the cake server! Not only beautiful appearance, but also excellent fuction. It's great for fusion bakery, theme dessert shop and so on. Copyright © 2019 Tair Chu Enterprise Co, Ltd. All Rights Reserved.